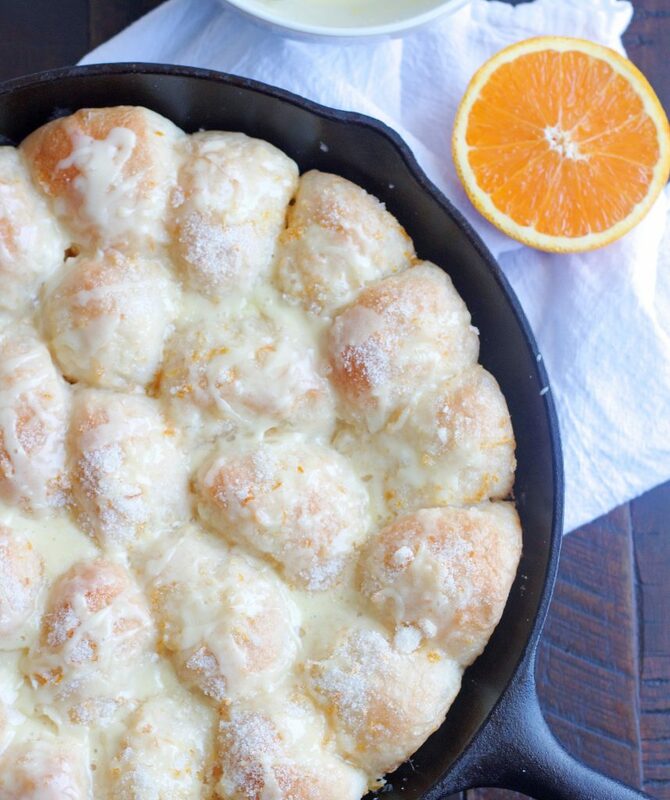 These Orange Pull Apart Rolls are out of this world! So simple to make because they start with frozen rolls. Sweet and tender with a sugary coating. . . they’re ridiculously good! Yeah, I totally have a thing for bread, just like I have a thing for chocolate, peanut butter and raspberries. 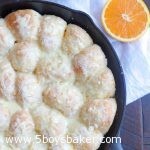 Because of that thing, it’s a huge problem when I make these Orange Pull Apart Rolls. To say these are really good would be a huge understatement! Outrageously delicious might be a better description. We are all so in love with these rolls. Honestly, they are rather dangerous to have around because none of us can stop at just one. 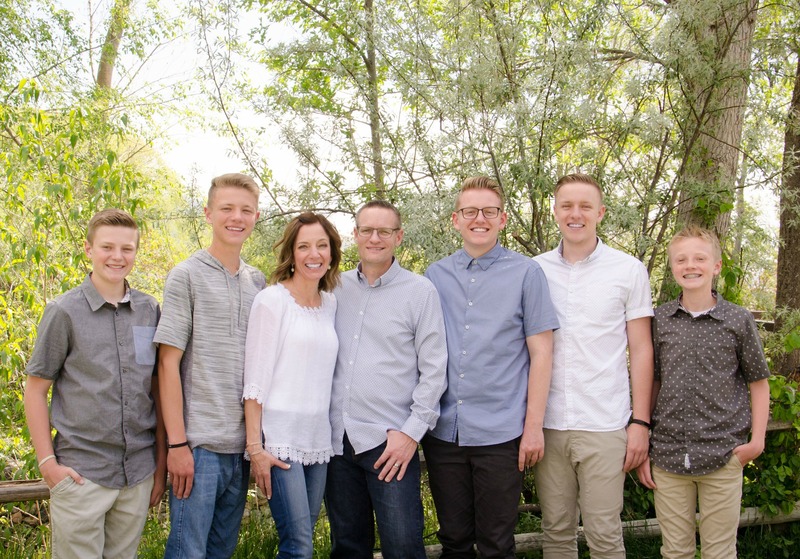 If we’re lucky we’ll stop at five. These are perfect for breakfast, brunch, lunch, dinner or anytime! These rolls are incredibly easy to make since they start with frozen rolls. You certainly could make your own bread dough, but why complicate things, right? Can you see all that sugary, buttery, orangey goodness? You guys, these rolls are completely divine. 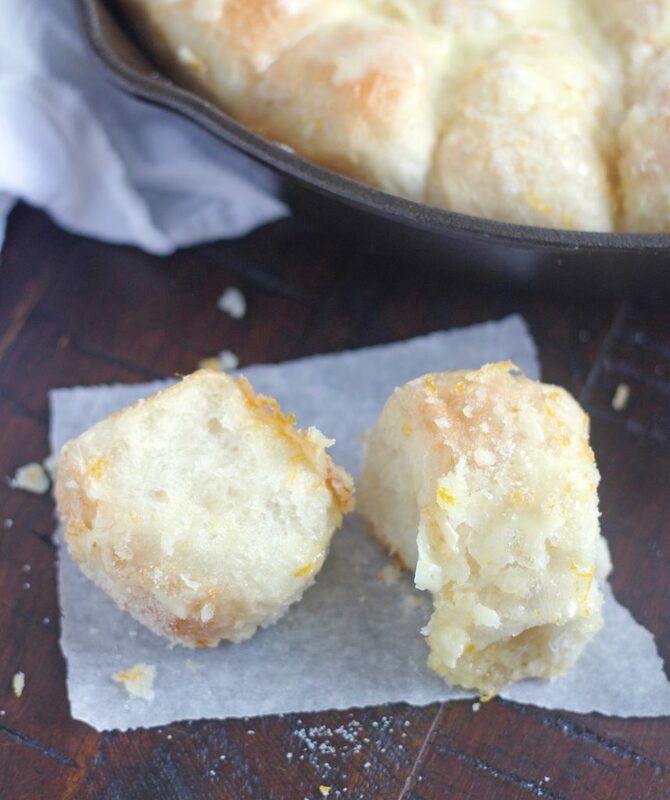 These Orange Pull Apart Rolls completely rock and you should make them! 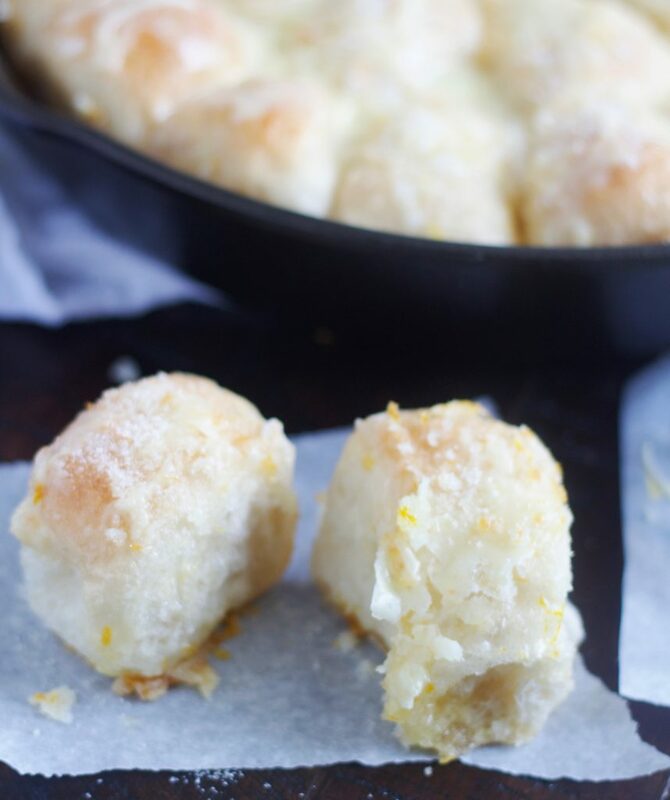 You can also make these lemon pull apart rolls which is what the original recipe was. I make these both ways and love them equally as much. If you want to make these lemon pull aparts then use the zest of two lemons in the sugar mixture and 2 tablespoons of fresh lemon juice in the glaze. Mix orange zest with sugar and set aside. Cut rolls in half and place in a 12-inch sprayed deep dish pan or 9x13-inch sprayed baking pan. (I use my 12-inch cast iron skillet.) Drizzle 1/4 cup melted butter over rolls. Sprinkle with orange zest/sugar mixture, reserving 1/2 of mixture to sprinkle on just before baking. Cover with sprayed plastic wrap an let rise until double in size. Remove wrap. Sprinkle on remaining sugar mixture. Bake at 350°F 20-25 minutes. Remove from oven and place on cooling rack.